Noteworthy is a group of acapella singers from Brigham Young University in Provo, Utah. 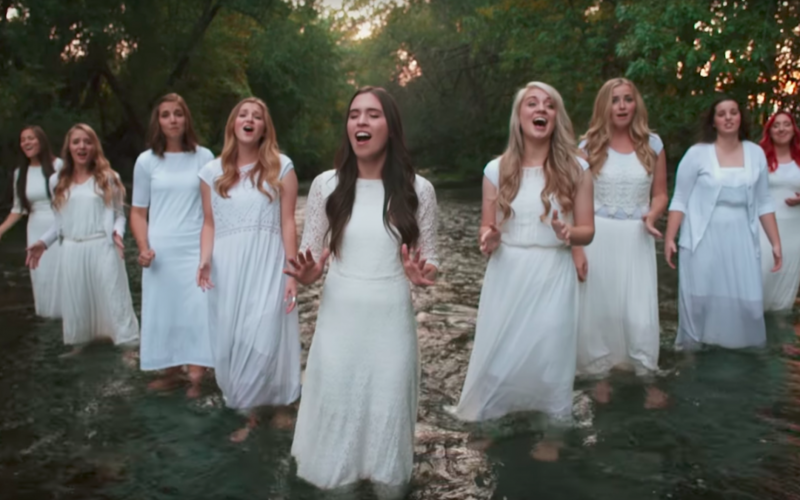 All nine members of the group are Mormons (members of the Church of Jesus Christ of Latter-Day Saints) and write inspirational and spiritual music. They won first place at the International Championship of Collegiate A Cappella in 2007. In 2015, Noteworthy’s YouTube Video “Amazing Grace,” a beautiful cover of the song “Amazing Grace,” went viral. It currently has over 25 million views. Since their first viral video, they have continued to release YouTube videos that are both uplifting and entertaining, including covers of “Geronimo” by Sheppard, “Unsteady” by X Ambassadors, and a mashup of “Without You” by Usher and “I Will Wait” by Mumford & Sons.